mes can add charm to the property, but a lack of care can soon lead to significant deterioration, functional problems, and a lack of appeal. Sash window refurbishment is an important and cost effective means of restoring the condition and character of this type of window. Improving the style and the quality of sash windows will increase the value of your property and produce a beautiful appeal. These striking features have been recognized as an integral part of architectural history as it represents an older style of frame and windows that became increasingly popular in the 19th century noted in palaces, cottages, and many homes. Some of the oldest buildings in Britain containing sashes were developed in the late 1600s and with the necessary management methods remain preserved as part of traditional architecture. While sashes are beautiful features, age and general wear and tear can result in a multitude of problems. Improper function, draughty rooms and poor sound insulation are some of the issues encountered that can all be repaired and modernized for the enhancement of the property. Draft proofing, repainting, and repairs can be undertaken with the services of a professional sash window company to ensure that your period wooden windows are restored and maintained. 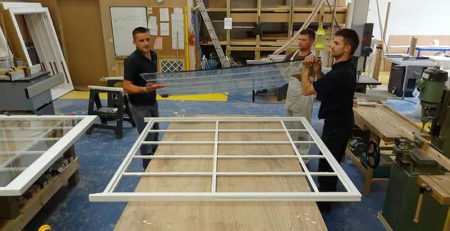 Replacing a sash window can be a costly procedure and takes away from the traditional appeal of the building. Refurbishment services will aid in restoring the integrity of such features including the addition of modern styles from double glazing to improvements in the condition of the framework. Depending on the requirements of the property, there are many fixtures that can be completed to maintain the beauty and integrity of sashes. Sash windows originally constructed from timber that can significantly deteriorate over a period of time. These older windows may be susceptible to severe damages leading to poor framework, constant rattling, and the formation of drafts. Consulting with repair services experienced in handling sash windows can aid in restoring its appeal and function for many more years to come. Examine the wooden framework of windows to determine whether rot is present and take action to have the necessary repairs completed in an efficient and effective manner. Where severe deterioration has occurred, the window can be repaired and should be assessed according to the value restoration can provide with the costs of reparation. Such measures can aid in determining the worth of having a refurbished window or possible a replacement window. Sash windows add an authentic charm and character to any home or building, which is the reason more people invest in the preservation of such features rather than its replacement. 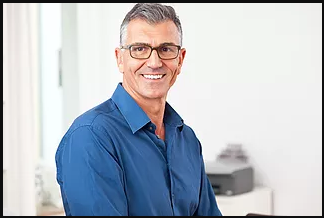 It is important to contact a professional wooden window restoration service to inspect the condition of original frames and glass who will advise you on the steps that need to be taken to improve the integrity of such beautiful architecture. 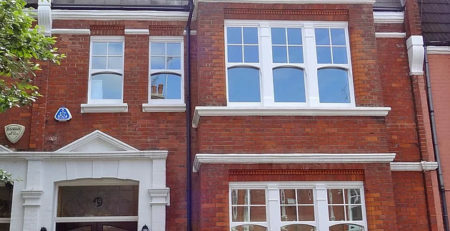 If you are not familiar with the sash window repair process, it is best to call on experts in the industry to ensure that the best outcome is achieved. The most common forms of deterioration that are associated with sash windows include an inability to open and close the window, the formation of drafts, constant rattling, and wood rot. A lack of maintenance will lead to these problems; however, specialist services are available to address the problems. 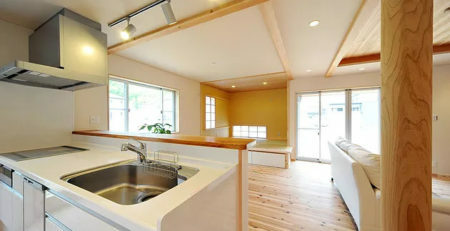 The expert repairman will be able to provide a quotation for the modifications that must be completed. Timber is recognized as one of the most solid and long lasting types of natural materials available, but over many years can become susceptible to rot with a lack of maintenance. The frames can all be restored with resin and a new coat of paint, to provide aesthetically pleasing results including a treatment to protect from further deterioration. Upgrades such as draught proofing seals can eliminate heat loss and double glazing included for sound insulation can be added to increase the thermal benefits of the sash window and this can all be done without changing the style of the sashes. Sash windows remain a popular and aesthetically pleasing structure that is included in many homes and traditional buildings across London. With the correct maintenance and refurbishment functional problems and a lack of appeal can be restored to produce beautiful detail and protection against harsh external conditions. Repairing sashes can prove most beneficial as it delivers value and long lasting results.